Mistaken beliefs about a Rheumatoid Arthritis blog? While I was at the football games, I was stiff and hurting. 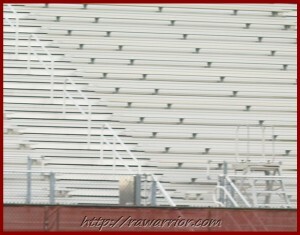 I kept wanting to lie down on the bleachers. Here’s an example of my train of thought: No one understands. Will I have a fever for the rest of my life? How can I ever make it through this ball game? At one point, I was walking to my car and my mind wandered to thoughts of what could be done until this thought came into my mind: I ought to start a blog. I entertained the thought for about a second. Of course, I have already tried that. I wonder whether the 20 days of fever are starting to affect my brain. 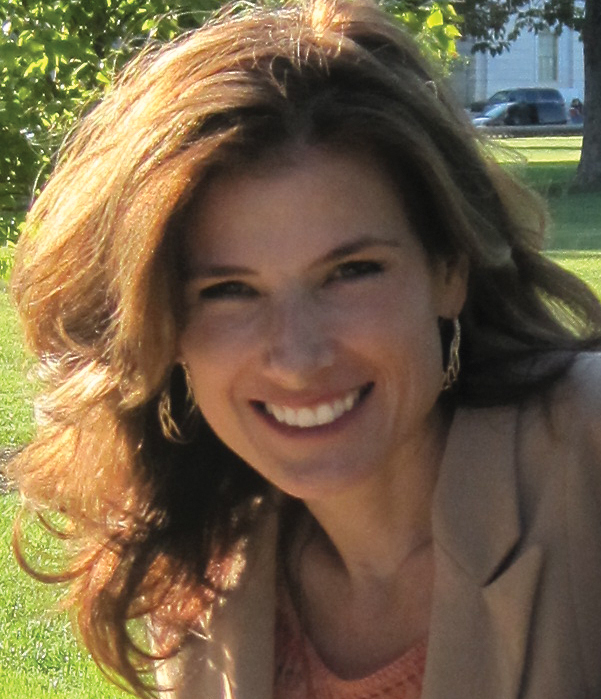 When Rheumatoid Arthritis attacked my feet, people would ask, “How are your feet?” Within a couple of weeks, I was answering like this, “Well, something’s happened to my knees, too, now…” Stop. Right there is where it changes. There is a look of skepticism. And then there is obvious doubt. I have been through this dozens of times. There are neighbors and church members and even family who seem unsure that Rheumatoid Arthritis is a bona fide illness or that it is half as bad as I say it is. I used to fantasize that writing a blog about Rheumatoid Arthritis would help me to communicate RA information in a way that would change their minds. I daydreamed that it would make a difference. However, writing a blog does not cure this problem. Not much has changed: I still get those looks. Some people still avoid discussions of Rheumatoid Arthritis. I still suffer silently. And, apparently, I still daydream about starting an RA blog. “You’ve made a difference to me, too. Hope you start to feel better soon. Don’t worry, I know exactly how you feel! Rest up!! I’m right there with ya! I give up on anyone ever understanding it…It’s never gonna happen unless you have it yourself. You know how it’s changed my life! For that I thank you a million times! I send love and hope to you and lots of encouragement. Maybe it will be stronger since I’m in Ft. Lauderdale right now. Big hugs! Hang in there, this won’t last forever!! I can relate. Sometimes, I feel like its my RA and me against the world. Lots of people “out there” still don’t understand… And lots of us suffer silently (well, sometimes silently, sometimes not-so-silently 😀 ). You may not “see” it, because we are a community tied together by keyboards and screens, but A LOT has changed. 2) Our pain is REAL; our symptoms are real; we are not crazy. We do not need to minimize or apologize for these truths. 3) You bring us vital, timely information that probably keeps us more informed and up-to-date than many (most?) rheumatologists. 4) We can go to our rheumatologist appointments encouraged, strengthened, and better prepared to communicate about our status and treatment options. 5) In our relationships with those who don’t “get it”, some of us may remain silent, yet AFFIRMED by the encouragement you bring us. Others may become more bold and be our own vocal advocates in certain situations, armed with the information and strength you and other warriors provide. 6) Some of your readers do not have RA and your blog gives them insight and empathy they would not otherwise have. Some people will never understand. 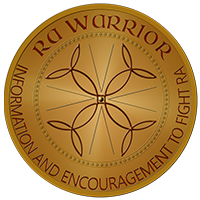 But thanks to you and other warriors, MANY, MANY more people learn the truths about RA and how extensively our lives are affected. Kelly, I have no idea how many hours of your time you have invested in your blog. But I DO have some idea of the fruit it bears. Thank you!! I know exactly how you feel. 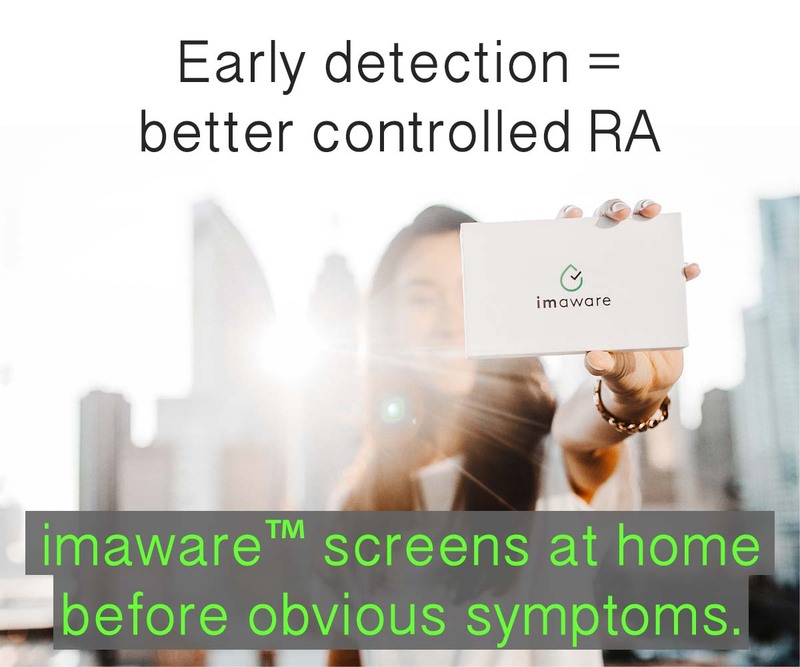 My mom (who also has RA) and I were talking about it the other day. The look that gets me the most is those people who judge me for having a handicap parking permit when I pull up to the spot. I’ve learned to try and laugh about it but it’s not always that easy. Keep up the great work though – you are helping! You are making a difference. Each person you connect with fans out to others. Because of you, I have courage to speak and be heard, and my children and other members of my family are spreading the word. I think there will always be doubters and others who just don’t want to deal with it or hear about it. I just tend to kick them to the curb and concentrate on the people who will hear me. You have made a huge difference in our lives and as far as the rest of them…it will certainly take time. I tell people as much as they will listen to about RA, and a lot of it I learned here. Yes, I get the blank stares, even from my brothers when I told them. It’s just ignorance. We are here for you as best we can be, hang in there Kelly. You are a warrior! Hey Kelly, you don’t suffer silently. When you hurt, we all hurt … when you are feeling good, we all smile. You make a tremendous impact on people’s lives. I agree 100% with Noelle, for the skeptics and doubters, who needs these people around. If they feel this way, they aren’t real friends anyway. It is so ironic that you write about football games and bleachers. I have spent the last week in bed with flared up hips from going to a band competition where I had to walk for a long way and then sit in bleachers for several hours. My hips flared up, I feel like I am walking with bone rubbing bone. Prior to that I was feeling fairly well. Sometimes the least little thing will cause the worst flare. No matter what anybody says, this is a nasty disease!!!! thank you for encouraging me to keep going. It does help me too. Kathy: “bleeding from an oriface…” haha. Thanks for the laugh. If only “You don’t look sick” were true. Even if no one read your wonderful blogs, it would be okay because you write them to get out the emotional pain that would be buried and making you more sick. Blogs are not only informative and good for sharing information, but they are a healthy way to express issues that would otherwise eat your soul and cause more stress. I blog too, and I do it for my health. I don’t care who reads it, as long as I have a place to get rid of negative baggage that would otherwise do me harm. That it may help others understand and know they are not alone is a benefit! Keep blogging, because some day there will be doctors that use these blogs to learn more about how not to dismiss a patient, and learn a more productive bedside manner. This is a form of educating and is, I believe, important to the future of our changing medical community. “… some day there will be doctors that use these blogs to learn more about how not to dismiss a patient, and learn a more productive bedside manner. This is a form of educating and is, I believe, important to the future of our changing medical community” That is my fondest hope! The other point is also good of course. Ok, I put in my url for my blog sight. I started getting it setup and have only a short description of what I will be writing about but I used to blog on myspace for friends and realized that it was too confining. I have a tendency to get on my soapbox when I see injustices and love to bring out issues that will cause people to really think about their lives and hopefully help them to see the ability they have to make changes and be happier. So, here go I on my grand adventure of blogging. I hope that I can educate and also give everyone a good chuckle now and then. I have to warn you that I can be unconventional and am not afraid to ask the questions that others may be afraid to ask. We will see what happens,cause I love a good adventure! I kinda know how you feel. I do not have RA but my daughter has Psoriatric Arthritis. She was just diagnosed a month ago. I was always putting things on my fb page about how she was doing. At first I would have lots of sincere comments from friends feeling bad but then not so much. I started a blog for her so that family/friends who wanted to hear about it could choose to go there and read up. I believe that our blogs.. yours, mine, other sufferers are for us. The ones who are first hand affected by the illness. For us we can truly understand eachothers pain, frustration and misery. So don’t stop blogging! It may not cure your RA but it truly does help us feel like we are not alone! I won’t stop Pattie!But I do like to talk about the funny ideas we get when we talk to the world in this “new” way. The link to your blog did not work, so I’d love to hear back from you. Thank you so much for your blog! I am a brand new reader but not to RA. I can’t tell you how many times I have gotten that question, “How are your feet?” I just want to scream, “It’s not just my feet!” I have pretty much stopped talking about RA and mostly suffer in silence with occasional complaints to my husband. oh I hate to hear that, Linda. But most of us seem to get to that point pretty quickly – where we have to keep it all inside. Another good reason we need each other to have “permission” to speak about it freely. No one even asks me “How are you?” except for other patients. I’ve gotten so I cherish those words & hearing them is like an expression of love. oh kelly just got to reading this blog entry and so relating to your inner monologue as you sit there on those dang hard cold benches. I frequently wonder how I will make it through everyday occasions…..
for me, it has this humiliation factor……. I CANNOT lift the milk from the bottom of the cart!! and I CANNOT believe it myself!! it’s amazing how many things I’ve changed to adapt and avoid different activities/movements …..it’s most certainly depressing and changes I didn’t want to make. It is good to know that their are other people who understand what your going through. Outwardly I look fine so people look at me like I’m not telling the truth when I try to move and can’t. I always joke to myself that if ever I;m in a hold up, or pulled over by the police they will just have to shoot me, because there’s no way I can get my hands up over my head. Thank you so much for this website and your honest blog posts. I have had RA 16 years and still struggle with how to deal with it. Reading here has helped me stay strong from within despite the lack of understanding from others. Its so nice to see Im not the only one who dealing with the misunderstanding of RA. It’s so hard for others to understand. Thank you so much. Day in day out pain makes us Ra’ers empathetic to others! However, it doesn’t seem to work in reverse for some reason. I let others vent and confide but once I mention RA – dropped my coffee cup yesterday or feel horrible today its met with the same blank stare! Where do I find your FB page?